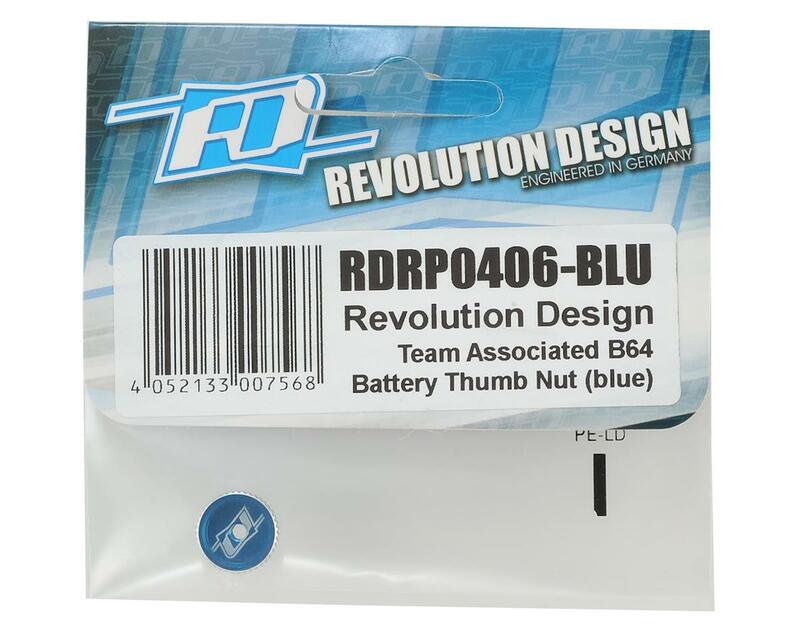 Revolution Design Racing Products' B64 Battery Thumb Nut is larger in diameter for improved grip and easier battery swaps. 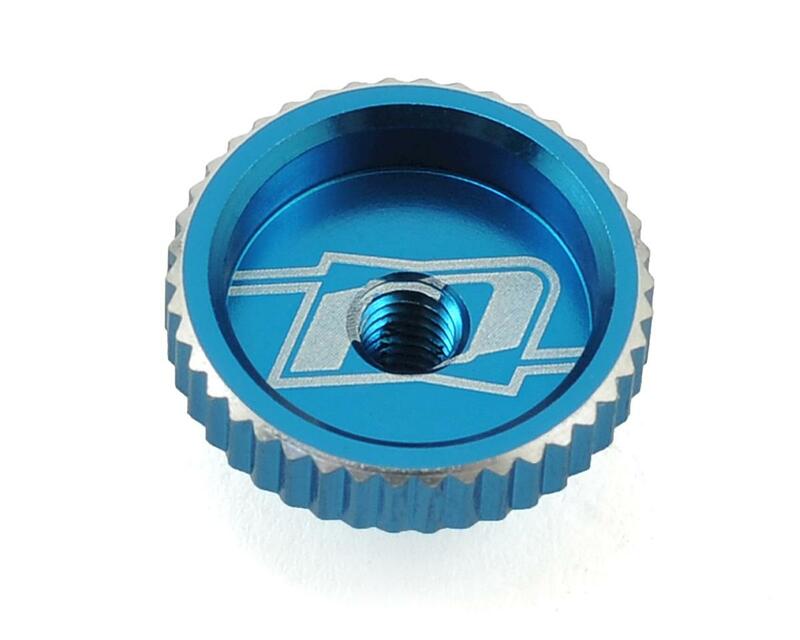 The part is machined from high-quality 7075-T6 aluminum, it comes with silver chamfered edge details for looks and an anodized surface for wear. The thumb screws are a direct replacement usable with all common B64-series battery braces and they are available in black or blue anodizing.